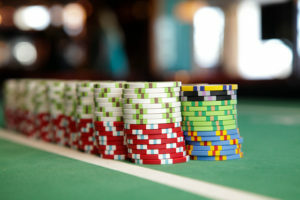 As technology continues to evolve, so too do the games that online casinos are able to offer their customers. 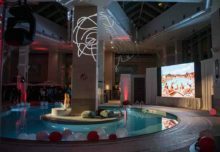 One recent development has been live dealers, though online operators have strived for years to recreate the brick-and-mortar casino experience. At first, live streams of professional croupiers running poker, roulette and blackjack games around the world via the internet were clunky and often froze up, but the idea was there. How Do Live Casinos Work Today? Now, anyone with a suitable internet connection on their desktop, tablet or smartphone can easily stream live dealer games from their favourite casino. 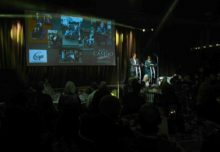 On one end, the professional dealer runs a game as they would in a traditional, land-based casino and at the other the players stream this live feed and play digitally. 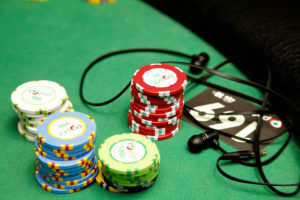 This digital interface is crucial to gameplay as it has all the chips, cards, the table itself and interactive actions necessary to play the game, such as wager amounts. The interfaces can vary though, as software developers such as Playtech, NetEnt, Microgaming and Evolution Gaming tend to have their own designs. Usually, the live casino dealers are based in a special set built by the online casino they work for, or sometimes they can be found within a real casino venue. Of course, the sets and venues must be situated within a legalised country, often within Europe. As iGaming and live dealer casinos continue to gain popularity around the world, more countries are beginning to offer related opportunities. There are certainly favourites amongst iGaming operators and live dealers, such as Malta, Gibraltar and the UK. Where Are Live Dealers Based? 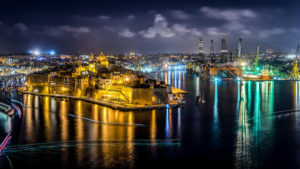 Situated in the Mediterranean, Malta has a long history of supporting the iGaming industry. In fact, iGaming makes up 12% of the small island’s annual GDP, ensuring that the Maltese economy continues to flourish. Over the last 14 years Malta has been attracting international brands, developers and talent to their shores, meanwhile encouraging other European countries to do the same. The iGaming professionals and live dealers who are based in Malta such as employees of Evolution Gaming experience 300 days of sunshine, affordable living costs and easy access to the world’s leading iGaming community. Gibraltar is relatively similar to Malta, in that it’s an island where iGaming is a leading industry. Just south of Spain, the island is classified as overseas British territory and so there is a wonderful mix of British and Mediterranean cultures. It isn’t just the atmosphere that attracts iGaming companies though, as the island also offers numerous tax breaks to new companies and is far friendlier to businesses than other European countries. This has attracted thousands of iGaming enthusiasts and live dealers to the island, as well as operators who wish to have one of the highly respected licenses in the world. Perhaps the only license that is considered superior to those issued by Malta and Gibraltar in terms of customer confidence is issued by the United Kingdom’s Gambling Commission. This is often the main reason operators and developers settle on the UK isles, besides the fact that the country has a thoroughly established iGaming industry. Professionals such as live dealers experience an entirely different way of life in the UK when compared to the islands. While taxes are significantly more expensive, but there is an undeniable professional respect that comes with working from an iGaming hub like London. More often than not, online casino operators will hold at least two licenses, with one being a UK license. For example, online casino operator and live casino host Betway Casino has licenses with both the United Kingdom and Malta, thereby reassuring customers that they are a trusted casino. After all, these countries don’t just issue licenses to any online operator. Not all iGaming hubs are based in Europe though, as the United States of America have recently began embracing online casinos. In 2013, New Jersey became the second state in the US to give out authorised online casino licenses, as well as the third state to allow online poker rooms. Finally, in August 2016 live dealers began broadcasting to players in New Jersey from the Golden Nugget Casino in Atlantic City, offering live Blackjack, live Baccarat and live Roulette. Of course, the leading casino market in the United States is Las Vegas as the entire city is based around both online and offline casinos. In fact, it’s easy to assume that many online live dealer sets and ambiences are based off of real Las Vegas casinos such as The Bellagio, Wynn and Palazzo Resort. This is particularly true of Playtech live dealer games, as they offer many Las Vegas themed table games. Where Are Live Casinos Most Popular? Still, while Las Vegas may be synonymous with gambling the United States, it doesn’t mean it comes first when it comes to player locations. Plus, although many live dealers are based around Europe it is in fact Australia that is the world’s largest gambling nation. Singapore comes second, followed by Ireland, Finland and finally, the US. Meanwhile in Japan, online casinos are rapidly gaining players, particularly those who enjoy live Pachinko games. They work very similarly to roulette, poker and baccarat in Europe and the US, and are extremely popular throughout Japan. Needless to say, live casinos and live dealers are truly helping to move the iGaming industry forward, offering players entirely new, authentic experiences similar to those found in land-based casinos.